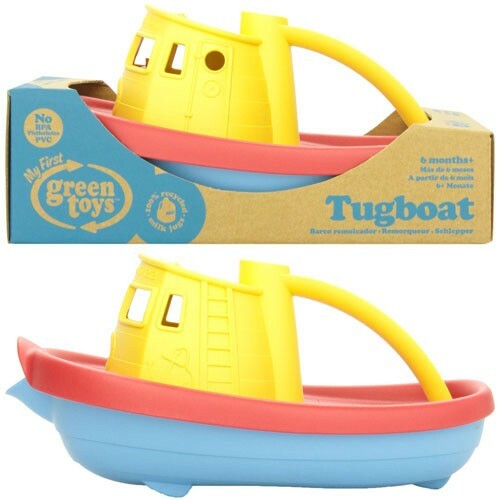 Green Toys presents their classic tugboat, made from 100% post-consumer recycled plastics. 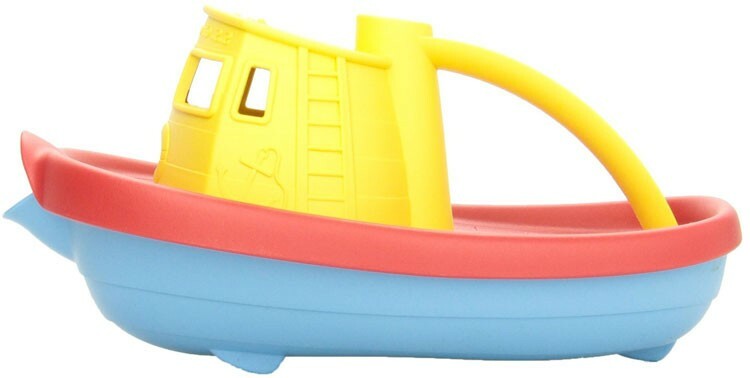 This colorful yellow, red, and blue boat floats beautifully, making it the perfect toy for water play in the tub, the pool, and even at the beach. It has a handle from the wheelhouse to the back deck and a wide-mouth spout at the front to scoop and pour water. Kids love making waterfalls out of the spout, while parents love that it makes bath time (especially hair washing!) fun and enjoyable. Scoop and pour fun all the way. All Green Toys products are made in the USA from post-consumer recycled plastics, and are packaged in 100% recyclable packaging.